A small Hungarian village is getting ready for the son of the town clerk's wedding. A couple strangers show up in town the same day, which plunges the townspeople into chaos. Their arrival also causes rampant paranoia and speculation about why they are there. Guilt is a hell of a thing and can drive paranoia to the point of instability. 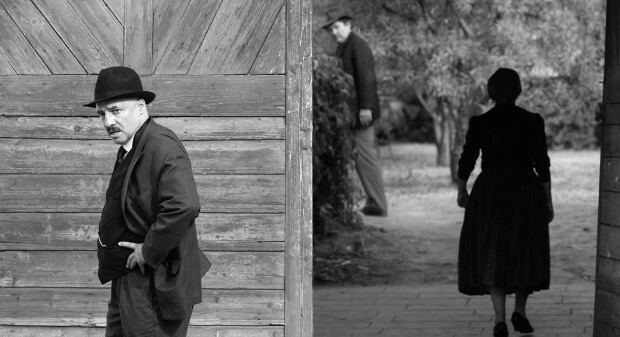 The simply named "1945" is a Hungarian film directed by Ferenc Török, who has directed films like "Moscow Square," "Eastern Sugar," and "Isztambul." He also helped write the screenplay along with first-time screenwriter Gábor T. Szántó, who wrote the short story "Homecoming" on which this script is based. The story revolves around the people who reside in a small Hungarian village in 1945. The town clerk, Szentes István (Péter Rudolf), is preparing for his son's wedding, and the whole community is helping to set everything up since Mr. István is such an influential man in their town. This same morning, two strangers who happen to be Jewish arrived in town on the train. These two men, who are carrying two large crates filled with somewhat mysterious contents, are set to deliver them to an unknown destination. 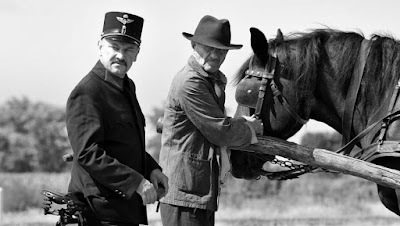 Mr. István and many of the townsfolk are thrown into a raging panic at their arrival as it is slowly revealed why the town is so afraid of these two Jewish men. 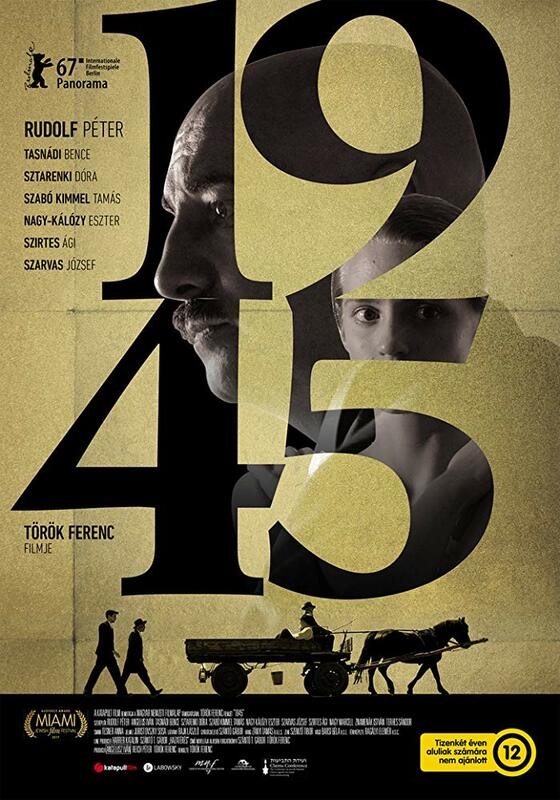 "1945" feels like it's going to be a slice of life drama as Mr. István prepares for his son's wedding. The two strangers arrive in this tiny town and unload their large boxes, a seemingly innocuous thing to do after a long train ride. Everything appears to be fine until the train station agent gets alarmed that these two men are bringing a couple of large crates said to be filled with perfume, linens, and dried goods into the city. From there, the story slowly unfolds as to why everyone is so alarmed by their presence. The station agent rushes to town on his bicycle to tell Mr. István what's going on as the audience tries to figure out why. As the story is uncovered, we are fed information bit by bit as the film shifts into a tale steeped in guilt and paranoia that turns the whole village on its head. As these two strangers walk through town to their eventual destination, chaos erupts around them as friendships, relationships, and family ties are severed. We remained completely taken in by this story despite that it's a bit slow to start. It takes a while to fully comprehend what's going on, but if you stick with it until the end, the payoff is both satisfying and very emotional. "1945" is a great study of the human condition and shows what guilt can do to people who have demons in their past. Though stories about WWII and the Holocaust have been told many times on the big screen, this film examines a subject that isn't often explored from a fresh and more unique perspective. Sometimes, watching movies knowing nothing at all about them can be a huge benefit to the moviegoing experience. In this instance, knowing as little as possible aided in our enjoyment of "1945." We think that if you take a chance on this film, you may be pleasantly surprised, and you may very much appreciate this stellar foreign drama like we did.